Day 01-Fly to Tenzing Hillary Airport in Lukla (2840 meters) and trek to phakding (2610 meters) about 4 hours. Overnight at guesthouse. Day 02- Trek to Namche Bazaar (3440 meters) about 5 hours. Overnight at guest house. Day 03- Acclimatization at Namche Bazaar. Hike to Everest view hotel. Overnight at guesthouse in Namche. Day 04– Trek to Tengboche monastery ( 3860 meters) about 5 hours. Overnight at guesthouse. Day 05- Trek to Dingboche( 4410 meters) about 5 hours. Overnight at guesthouse. Day 06- Trek to Lobuche (4910 meters) about 6 hours. overnight at guesthouse. 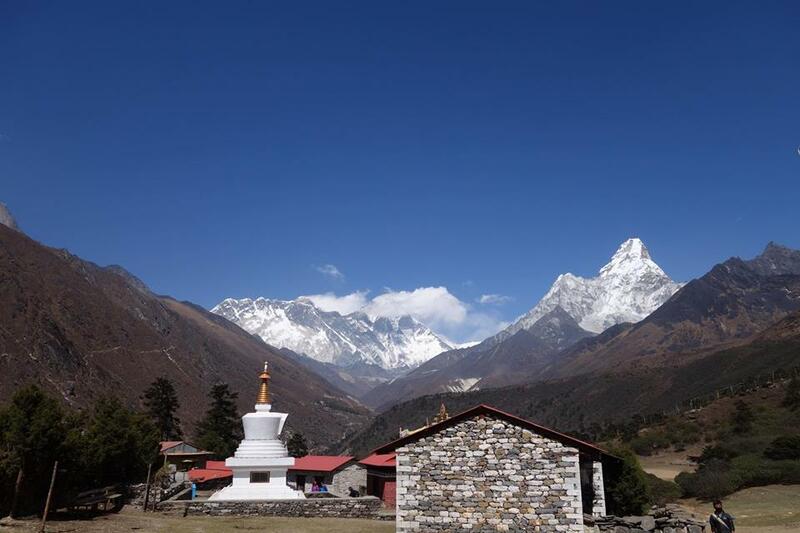 Day 07- Trek to Everest Base Camp (5364 meters) via Gorekshep (5180 meters) about 9 hours. Overnight at guesthouse at Gorekshep. Day 08- Early in the morning hike up to Kala Patthar (5545 meters) then trek down to Pheriche (4280 meters) about 8 hours. Overnight at guesthouse. Day 09– Trek to Namche Bazaar (3440 meters) about 8 hours. Overnight at guesthouse. Day 10- Trek to Lukla (2840 meters) about 7 hours. Overnight at guesthouse. Day 11- Fly back to Kathmandu from Lukla. Overnight at hotel. The trip cost USD 997 per person with the following services.